Its pages were yellowed, its cheap binding broken, its typeface uneven: there was nothing imposing about the copy of Un Bagne en Russie Rouge – `A Prison in Red Russia’ – which someone once handed me as a curiosity. Nevetheless, the book, published in Paris in 1927, was one of the first to describe the Soviet Union’s earliest political prisons, located on the Solovetsky Islands in the White Sea. Quoting survivors, escapees, and what little information had been published in the Soviet press, the author Raymond Duguet accurately described the geography of the islands, the barracks within a former monastery, the lack of food, the mass executions. He correctly named prisoners and several guards. He mentioned the mosquitoes. For sixty years, Duguet’s book was the most complete source on Solovetsky in the French language. But Un Bagne en Russie Rouge was a failure. Its author was not famous, and its literary value was minimal. Worst the book was mistimed. Because it appeared at the end of the 1920s, when the bloodiness of the Russian revolution was already fading into memory, it was easily outshone by volumes like L’amour en Russie, and “Ma Petite Bolchevique”, books describing the romance and excitment of Soviet Russia. Wrote one Magdeleine Marx, in “C’est La Lutte Final” (“It’s the Final Struggle”) of her trip to Russia at that time: “Such boutiques there are! The happy crowds promenade beneath the trees with an air of well-being.” Stories of dismal Russian prisons were not then popular in France, and in any case, they could be countered by better stories, those told by the distinguished French communists who had been invited to visit Russian prisons (specially prepared for that purpose) and found them not to be dismal at all. “Un Bagne en Russie Rouge” fell into the black hole of forgotten books. The information it contained did not become part of French culture. Only a fraction of the intellectual class had heard of Solovetsky; to the general public, the name of the place meant nothing. One could say, even, that although the story of the Solvetsky Islands was then `known’ in France, it was for all practical purposes, unknown. “Human knowledge,” once wrote Pierre Rigoulot, a French historian of communism, “doesn’t accumulate like the bricks of a wall which grows regularly, according to the work of the mason. Its development, but also its stagnation or retreat, depends on the social, cultural, and political framework.” The framework, in this case – the book’s style, its author, and above all the political atmosphere in which it was published – was not conducive to the growth of knowledge about Soviet prisons. All of which is a roundabout way of explaining the phenomenal, surprise success of the “Black Book of Communism” when it first appeared in France in the autumn of 1997, as well as the fierce controversy it provoked. A serious, scholarly history of the crimes of communism – in the Soviet Union, East and West Europe, China, North Korea, Cambodia, Vietnam, Africa and Latin America – the “Black Book” did not look like an immediate candidate for the best-seller lists. Any book publisher will tell you that gloom doesn’t sell, and the “Black Book” is essentially a catalogue of gloom: torture, murder, political repression, artificial famine, terror and terrorism, without much by the way of politics or social history to lighten the atmosphere. More to the point, unlike “Un Bagne en Russie Rouge”, which at the time of its publication contained genuinely fresh material, the “Black Book” was not, strictly speaking, original: it is not as if general information on the crimes of communism was unavailable in France. In the 1920s, there was Raymond Duguet; in the 1930s, the French newspapers reported the Moscow show trials, just like anywhere else. In 1947, Viktor Kravchenko’s book on life in Soviet Russia so shocked the French Left that one communist journal accused him of inventing it, and a spectacular, widely-reported libel trial followed. Finally, in the 1970s, Solzhenitsyn’s “Gulag Archipelago” had an impact in Paris comparable only to its impact in Moscow: articles were written, hands were wrung, and Marxism was publicly renounced by many Marxists. It certainly didn’t seem, in 1997, as if the French public could be shocked by accounts of communist repression once again. But if something can be known and yet unknown, so too can things be known but – for lack of a better expression – not (ital)intuitively(ital) known: circumstances can still prevent them from becoming part the culture. After the revelations of the 1930s came the war: Stalin, the conqueror of Hitler and Petain, loomed larger than Stalin, the back-stabbing despot. After the Kravchenko trial came 1968: Mao, the revolutionary voice of French youth triumphed over Mao, the man responsible for the greatest famine in world history. Even Solzhenitsyn was slowly discredited in anti-American, anti-Reagan, 1980s France, as an authoritarian, a nationalist, even as a fascist. One way or another, the political atmosphere always encouraged anti-anti-communism rather than its opposite. Courtois’s real aim was not to re-shape historiography: the comparison between Hitler and Stalin has been made, legitimately and uncontroversially, by historians and political philosophers from Hannah Arendt to Alan Bullock many times before, and there is much to learn from it. The comparison of the two systems can shed light on the power of ideology and propaganda, the manipulation of hatred, the dehumanisation of political enemies, human nature itself. But Courtois’ intent was less esoteric: he wanted to push the memory of communist crimes back into the cultural mainstream by comparing them to the Nazi crimes which, in French popular culture – indeed in American popular culture – have come to symbolise the ultimate evil, almost to the exclusion of other evils. His language was also perfectly calculated to irritate and embarrass the French Left, which, as he knew very well, has always been a little queasy about its strong links to Soviet communism, and far happier to dwell upon its opposition to Hitler. Timing also helped. Because of their own revolution, the French have a soft spot for other peoples’ revolutions even in the most conservative of times. But this was France under a Socialist government. The immediate result of this open attack on the French Left was therefore a sort of collective howl, very well described by Martin Malia in the American edition’s foreword. Le Monde ran a front-page headline (unthinkable in almost any other country) declaring that “A Book has Re-launched the Debate on the Crimes of Communism,” with pages of commentary following for weeks afterward. Two of the “Black Book”‘s co-authors, also former leftists, disassociated themselves from Courtois. In parliament, a group of right-wing French politicians citing the “Black Book” attacked the new prime minister, Lionel Jospin, for including the Comunist party with its `criminal past’ in his ruling coalition. Jospin replied that he was `proud’ to have Communists in his government; the right-wing polticians walked out in protest. By the time it was all over, the book had become a publishing sensation, not only in France but in Germany and Italy, where the reaction of the Italian Left was almost as dramatic as that of the French. And yet – for a book whose publication was surrounded by so many layers of politics, the “Black Book” is for the most part curiously apolitical. Because it covers so many places over such a long period, it is of necessity condensed, and reads, at times, like a martyrology. Trotsky’s death is dispensed with in a paragraph; more than 330,000 Poles are deported to Siberia in a page and a half. Fascinating stories – like that of the 11,600 children kidnapped by Greek communists, or the thousands of idealistic Finnish-Americans who emigrated to Soviet Russia, and were then arrested – are told only in briefest outline. There is nothing especially right-wing about the books’ language. The polemics are confined to the introduction, which was specifically written to have an impact in France, with its strong communist party and strong communist sympathies. Although some of Courtois’s comments will still irritate a part of the English-speaking academic world – we too have our historians and journalists who were less than forthcoming about communist crimes – it will be very surprising if the English language edition has any mainstream political impact at all. It certainly won’t furnish much material for those who want to attack Tony Blair or Bill Clinton. This was not immediately apparent when archives first began opening in the former Eastern bloc years ago. At the time, some material was released, some was not; in Russia and Eastern Europe even today, certain collections remain closed to some people and opened to others, or simply closed altogether, which leads many to suspect that the most sensational documents have not yet been released. In general, there has been a dearth of sensational documents, which is disappointing for those who hoped the opening of archives would dramatically alter our knowledge of Soviet history. Yet this is to miss the point. What is now available is often quite ordinary – the day-today archive of the GULAG administration, for example, with inspectors’ reports, financial accounts, letters from the camp directors to their supervisors in Moscow – and the use of such ordinary documents matters a great deal indeed, even – perhaps especially – when writing for a mass audience. Even if the general outline of the story hasn’t changed much, archives change the way writers write, and the way readers perceive their writing. We are no longer comparing the “claims” of Raymond Duguet about prisons to the “claims” of Magdeleine Marx about Soviet boutiques. The emotions, feelings, and morality of the Black Book’s authors are not the issue. Their subject matter is. By 20 August, three months later, only 2200 of 6,114 people were still alive, and these survived partly thanks to cannibalism. No appeals to the Russian conscience are necessary to convey the tragedy, no attacks on Stalin or Soviet society, or “you and I as well”, are needed to heighten the drama. The mere fact that we know this information comes from a document written by an ordinary party worker, expressly for Stalin’s eyes, is enough. As a matter of fact, Solzhenitsyn’s general outline of the history of the camps has held up well. But his writing simply doesn’t have the same ring of authenticity. Archives have also not so much resolved as dissolved some of the academic controversies that long swirled around the history of communism, blurring the events and confusing the lay reader. The most famous of these, between “traditionalists” and “revisionists” in the study of Stalinism, is now on its way to disappearing altogether, as many of the questions it raised have either been answered or shown to be beside the point. True, the battle over statistics continues, but both the carefully-planned viciousness described by the traditionlists and the chaos of the Soviet communist party described by the revisionists have now been documented and shown to be wholly compatible. Stalin’s moral responsibility for terror is no longer in question (and some did question it): his signature has been found on documents ordering mass executions. 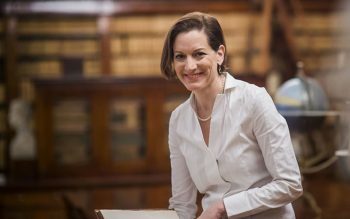 Significantly, some of those documents have even been published in a new book co-edited by J. Arch Getty, once the leading proponent of the view that Stalin was little more than a `bureaucratic moderator.’ (The Road to Terror: Stalin and the Self-Destruction of the Bolsheviks, 1932-1939, Yale University Press). Getty also once famously wrote that “many thousands of innocent people were arrested” in the Soviet Union in the late 1930s, an understatement if there ever was one. In his new book, his language has changed: “huge numbers of lives had been destroyed in the one of the greatest human and personal tragedies of modern times,” he now writes of Stalin’s terror. Unfortunately, the enormous impact of archives on the telling of communist history also makes the Black Book somewhat lopsided. With the exception of Cambodia, the later chapters on Asia cannot stand up to the earlier chapters on the Soviet Union and Central Europe, since communist regimes are still in power in Asia, and have not been so gracious as to open up their archives to scholars. In some countries, China included, researchers have been able to do field work, and there are excellent secondary sources. In others, such as North Korea, all information must still be couched in language like “it is estimated” or “there is no way of knowing exactly”. Nevertheless, Courtois and his publishers – he credits them with the idea – were right to include Asia, Africa and Latin America. This, in fact, is the other aspect of the Black Book which makes it different and more powerful than its predecessors: now, at the end of the twentieth century, it finally makes sense to look back at the evolution of communism as a single phenomenon. While we have not perhaps reached the end of the end of the history of communism, the story already has a clear beginning and a clear middle: it is now possible to trace the direct lines of influence, ideological and financial, from Lenin to Stalin to Mao to Ho Chih Minh to Pol Pot, from Castro to the MPLA in Angola. It is also possible to trace the links between their remarkably similar systems of repression. The use of concentration camps spread from Russia to China and North Korea. The Cuban secret police were specifically set up along Soviet lines. Artificial famines have caracterised communist regimes in Ukraine, China, Cambodia, Ethiopia, and now North Korea. What Jean-Louis Margolin, in his chapter on Cambodia, calls the “mania for classification and elimination of different elements of society”‘ was characteristic of the other important communist regimes as well. Categories of enemies were established and persecuted everywhere: in Russia they were the “former people” or the “enemies of the people”, in China they were the “blacks” as opposed to the “reds”, in Cambodia they were the “75’ers”, who had been expelled from cities in 1975. The same kinds of dehumanisation were used to degrade the regime’s enemies – they were described as “poisonous weeds” or “insects” – and the same kind of fate awaited them and their families, in massacres, camps, and exile. All of the authors look at cultural contexts, at histories of peasant rebellion in Russia and of slavery in Cambodia, but because communism was an anti-traditional ideology, and because it deliberately destroyed older cultures and ways of life, these differences don’t, in the end, seem to matter as much as the similarities. Which is why it is also possible now, in a way it would not have been a few years ago, to trounce once and for all the myths of a more promising “early period” of communist history, or of `better’ regimes which deviated from the general rule. Writes Getty, “the notion that we have clung to so long – that there must have been `liberal’ or `decent’ Bolsheviks who tried unsuccessfully to stop Stalin’s plan for terror – is no longer tenable.” Without exception, the Leninist belief in the one party state was and is characteristic of every communist regime, from Russia to China to Cuba to Mozambique. Without exception, the Bolshevik use of violence was repeated in every communist revolution. Words and phrases invented by Lenin and his chief of secret police, Feliks Dzerzinsky, were deployed with uncanny predictability all over the world. As late as 1976, Mengistu launched a “Red Terror” in Ethiopia. Finally, the most important effect of the Black Book is cumulative: more than 800 pages of murders, massacres, famines, concentration camps, prisons, wars, terrorist acts and assasinations cannot fail to impress even those readers inclined to see silver linings. By the time one has reached the end of the book, in fact, one feels that the question central to the introduction ought to read somewhat differently. Given the kind of material – documents, testimony, official statements – that we now have, why do we still need to compare Communism to Nazism? True, the comparison will go on being interesting to the same kinds of historians and political philosophers who have always found it interesting. But it should by now be unnecessary for those like Stephan Courtois, who simply want the evil of communism to be intutitivly accepted the way that the evil of Nazism is intuitively accepted. We have reached the end of the twentieth century with its multiple horrors, we have all of the necessary documentation spread before us, and we should now be able to say, without making a contest of it, that Hitler was evil – and that Stalin was evil. That some still need conjure up the ghost of one in order to condemn the other merely testifies as to how far popular culture lags behind historical research. Communism now looks bad enough by itself.